Hamilton boys The Ferns make sorta hazy jangly guitar pop, with a playfully sardonic edge to it. The four quick songs on their new EP Greener Pastures have a way of smiling to your face while they criticize the life choices or dance moves of a hypothetical bro. Opener “My Grrrl” is… probably about jerking off? Or maybe “You’ve got one in the bush/But it’s worth more in your hand” is just about little birdies. The Buzzcocks might’ve written this song if they’d come along about 10 years earlier. “I Am A Failure!” Gives us the lowdown on a dude who thinks he’s better than he is. The chorus of “Cause you’re a failure/Not being a hater” is the catchiest put-down in my recent memory. 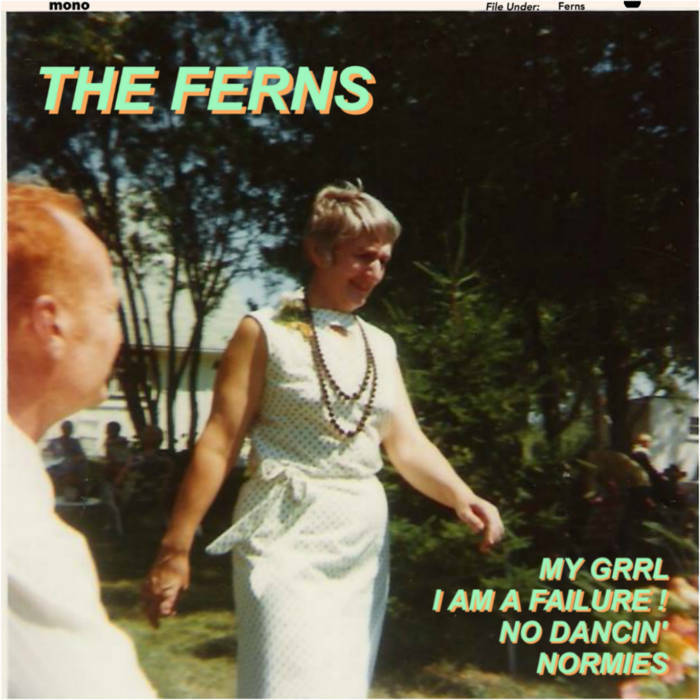 My favourite track is “No Dancin'”, a laugh out loud tune about moshing goons coming to wreck your chill. “Normies” is another crack at someone who just won’t grow up, thinking he’s too unique to conform. At first blush these songs might just seem to breeze by, but on closer look you might smile at someone you recognize in the lyrics.